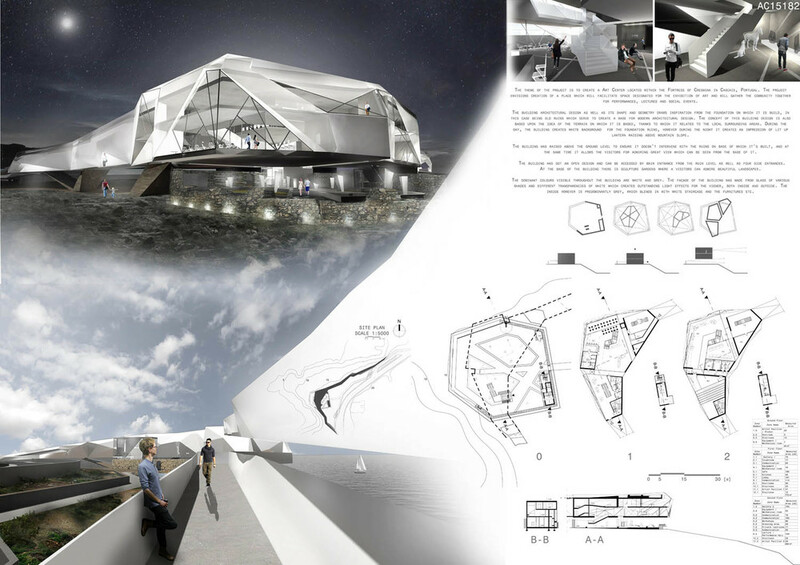 The project declares its presence through the roof that is elevated above the existing wall and consequently generates a new landmark for the area. 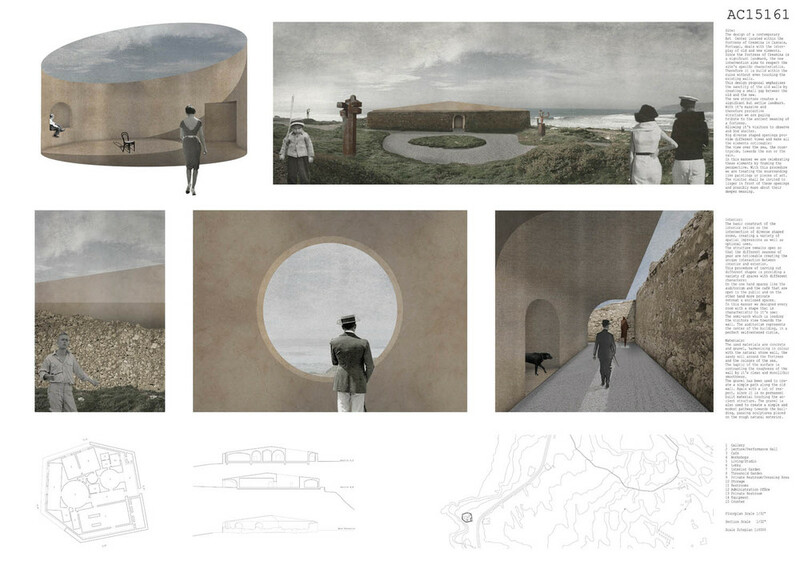 One of the strong points of the project lies in its only apparent formal simplicity that refers to the shapes of the ancient fortress. 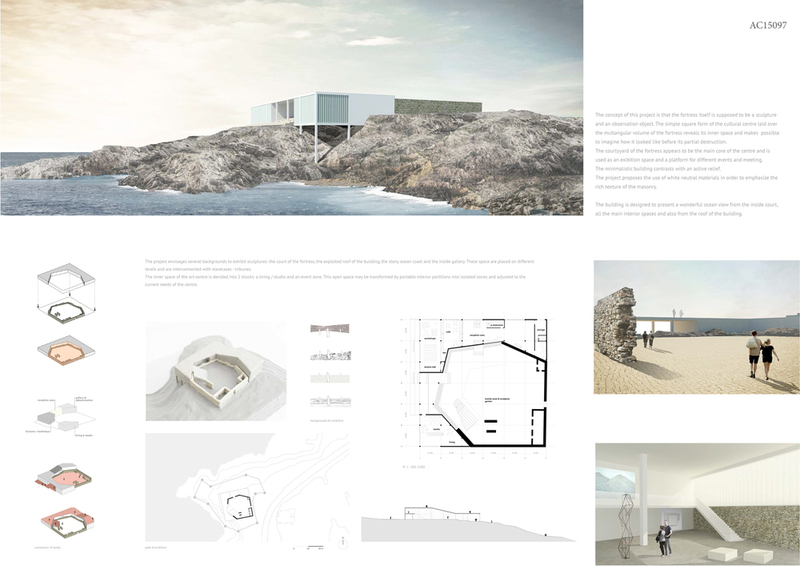 At the same time the project evokes a new sense of space through the succession of several rooms connected by a pedestrian pathway that crosses the entire complex until it reaches the extraordinary landscape of Cascais. 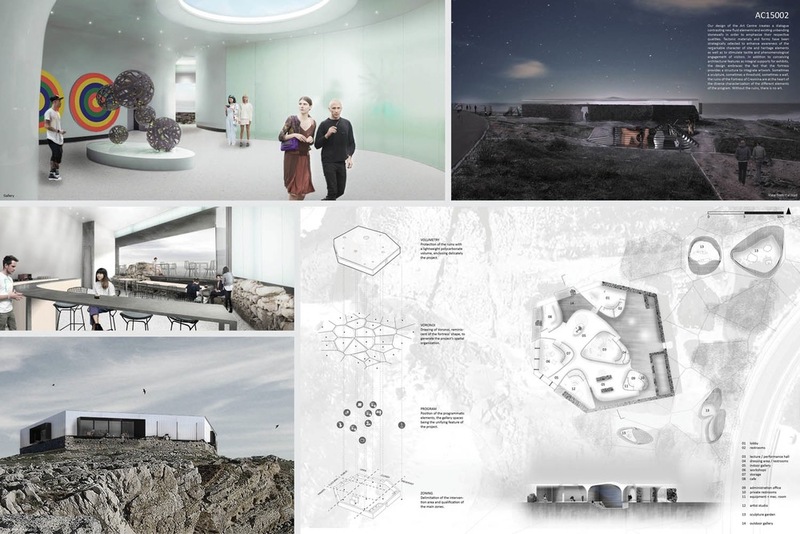 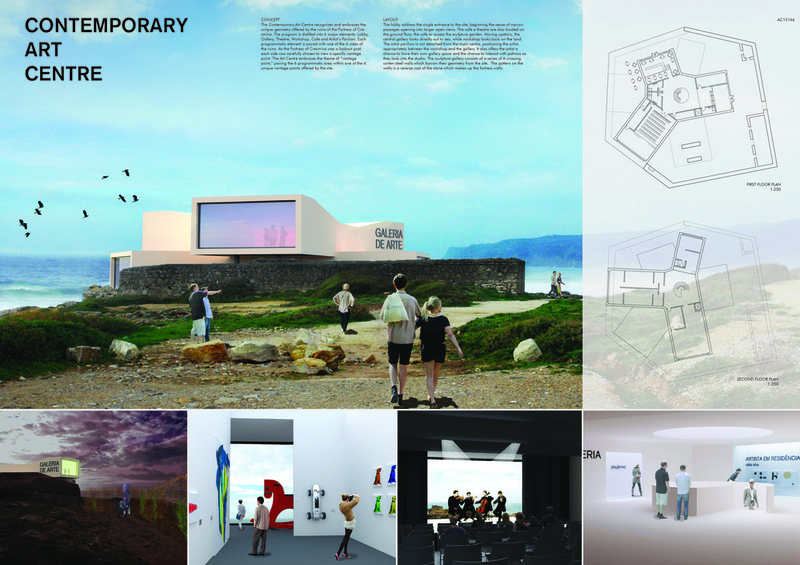 Clear idea, strong shape and fine balance between respecting the outstanding qualities of the historic site and fortress and making a contemporary art center. 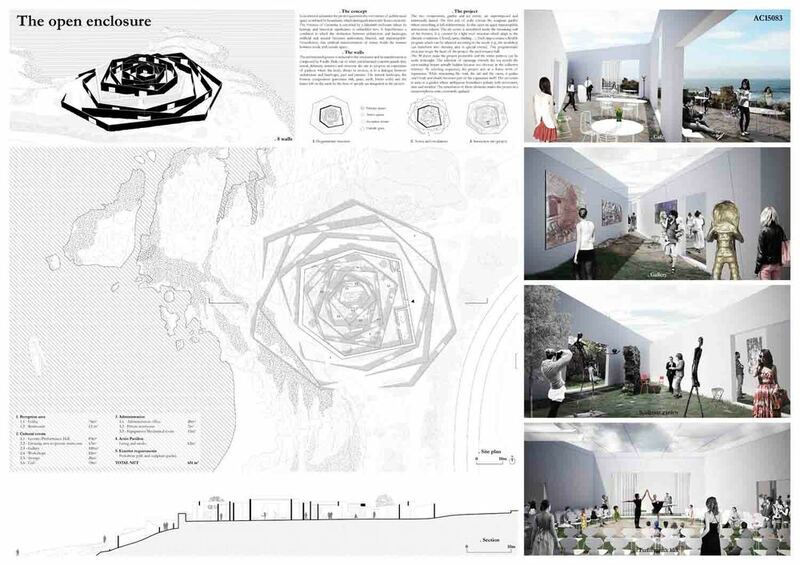 The simple concept of turning a perfect square creates a great variety of spaces for the sculpture garden. 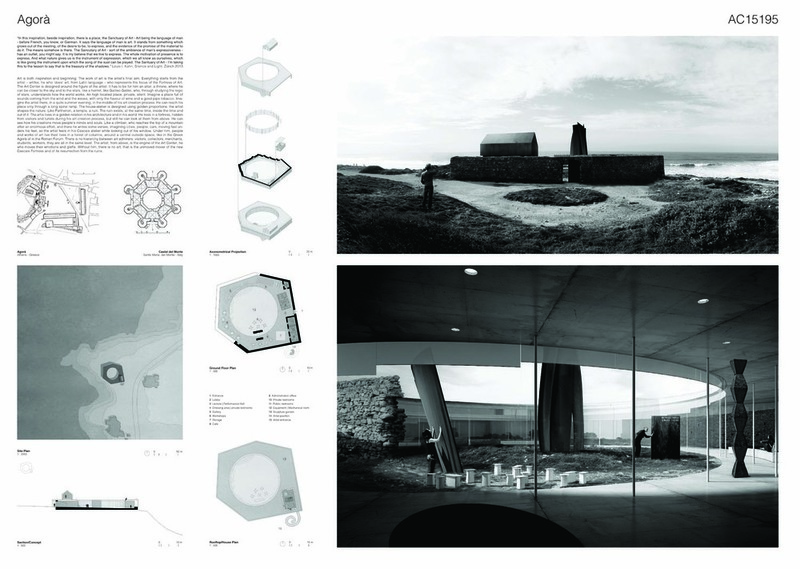 Nice contrast between concrete wall and organic stone. 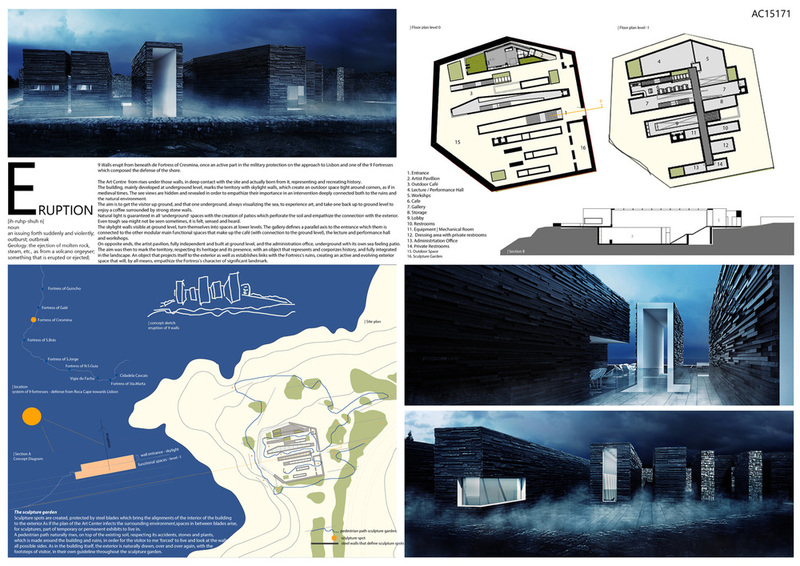 The project occupies the space inside the walls while it appears from the outside as a silent volume that stands above the walls of Cresmina. 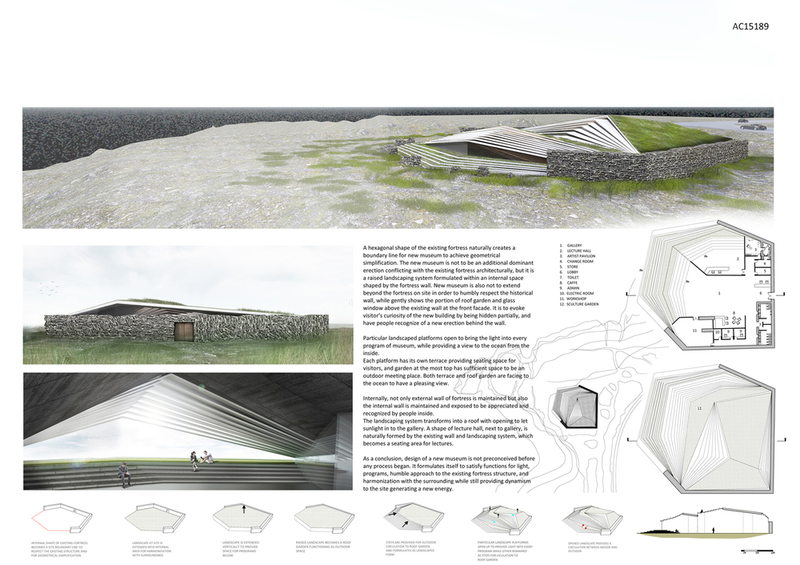 The project distinguishes for the suspended volume of the first floor that frames the landscape, underlining its evocative strength, and creates a shady space for the visitors on the ground floor. 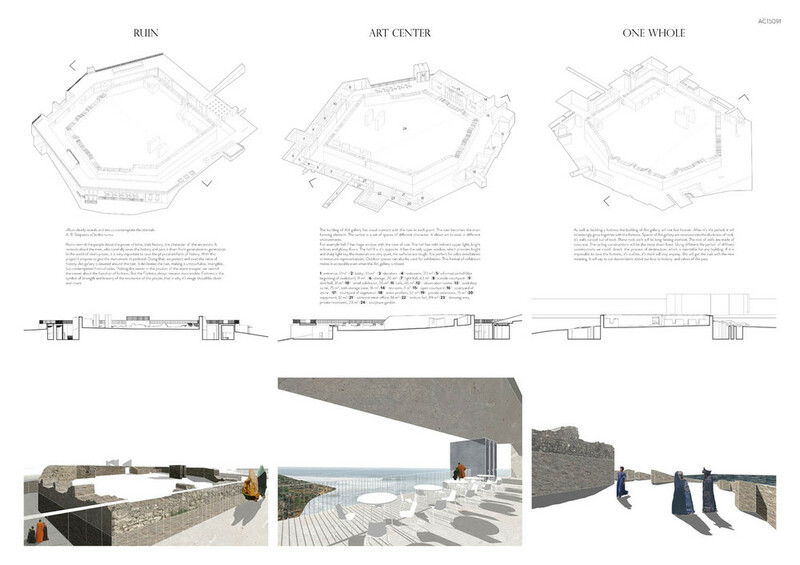 It is also favourably appreciated the regularity of the building that reacts against the character of the space defined by the existing walls and the rough materiality of the ruins of the fortress. 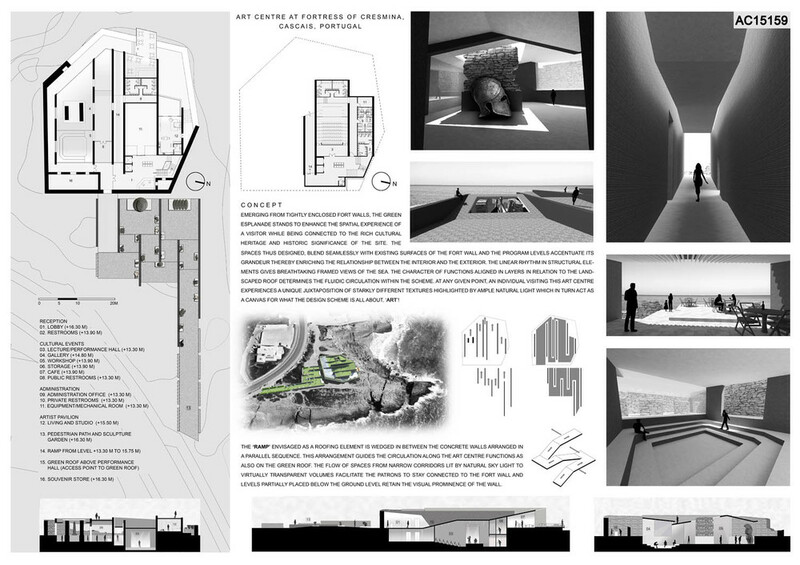 A perfect square raised one floor creates covered space for parts of the sculpture garden. 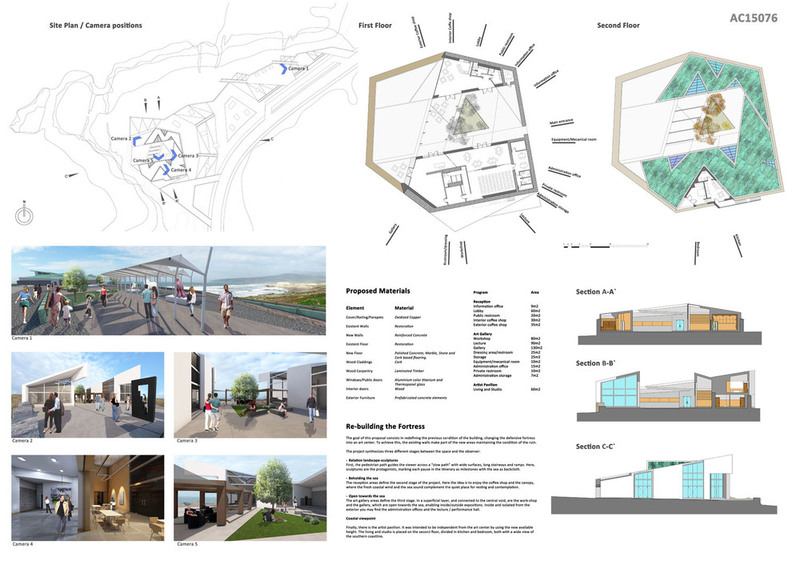 Beautiful images and clear drawings tell the story of an art center where interior and exterior spaces create a very useable place for cultural and public events. 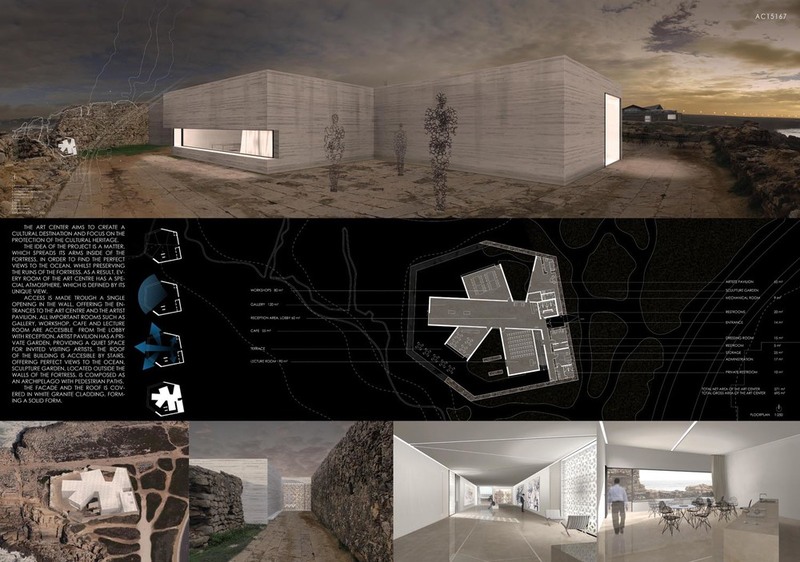 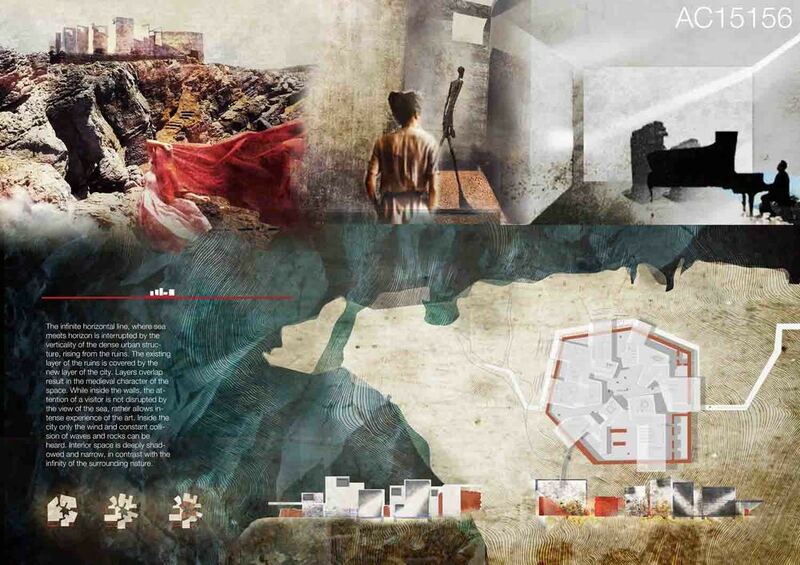 The project, remarkable for its intense evocative character, adopts an unconventional method to approach the topic: the candidate doesn't touch the existing archaeological heritage but decides instead to develop the building under the ground level. 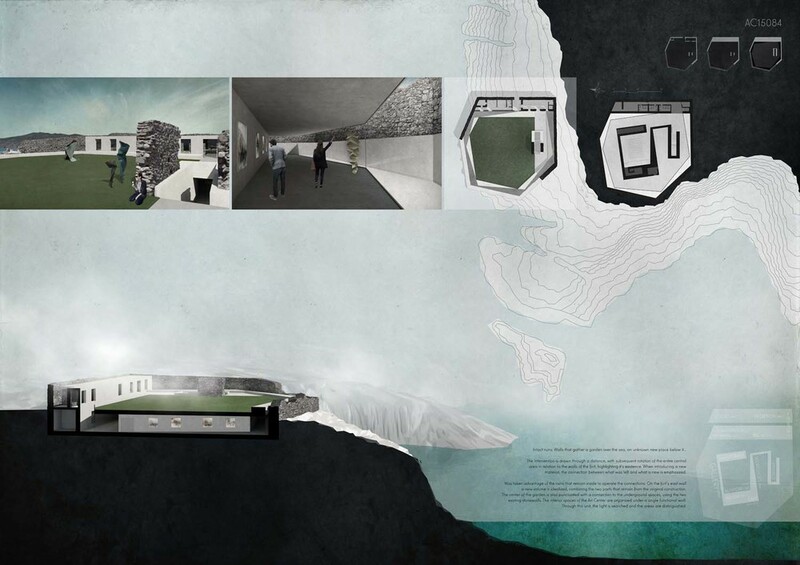 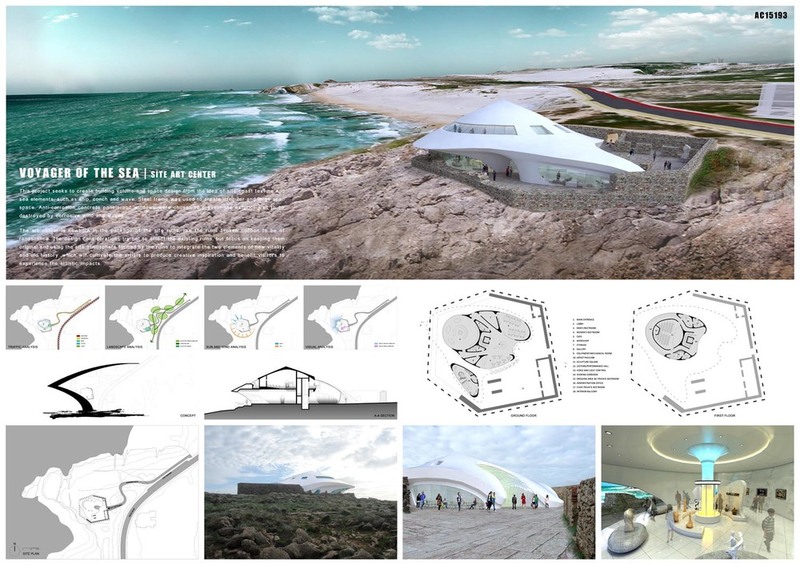 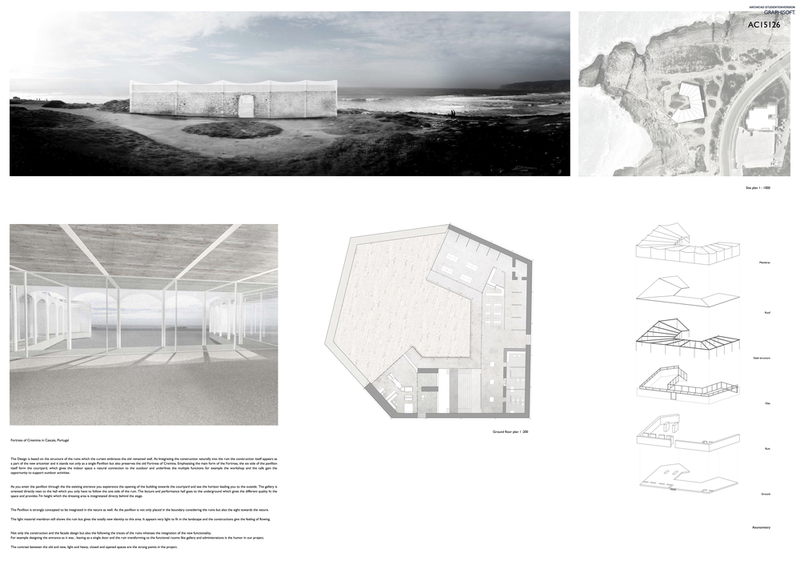 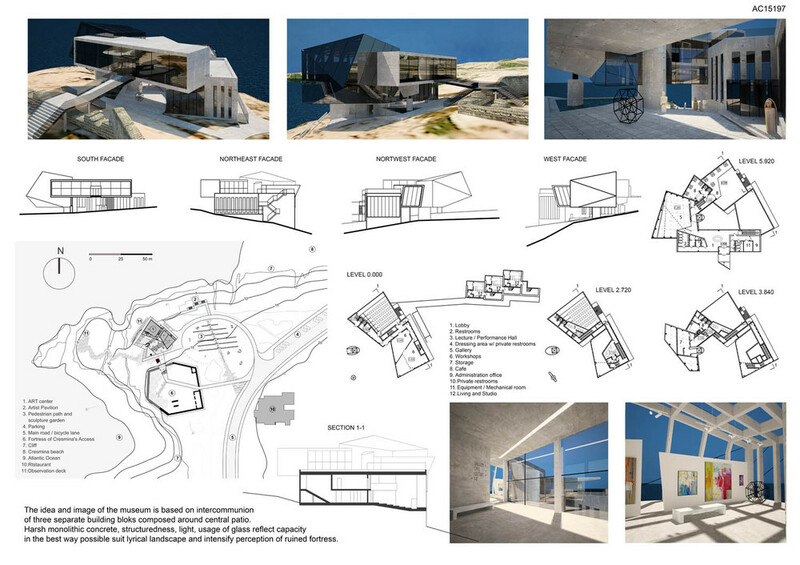 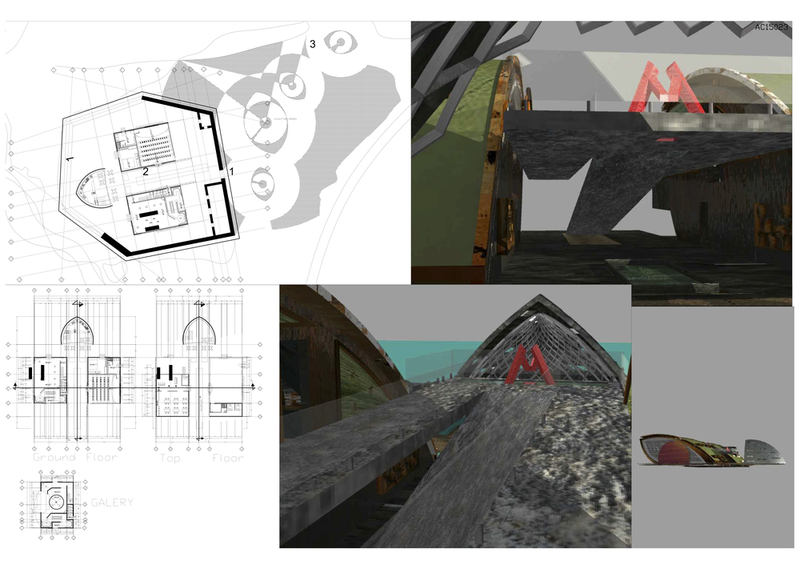 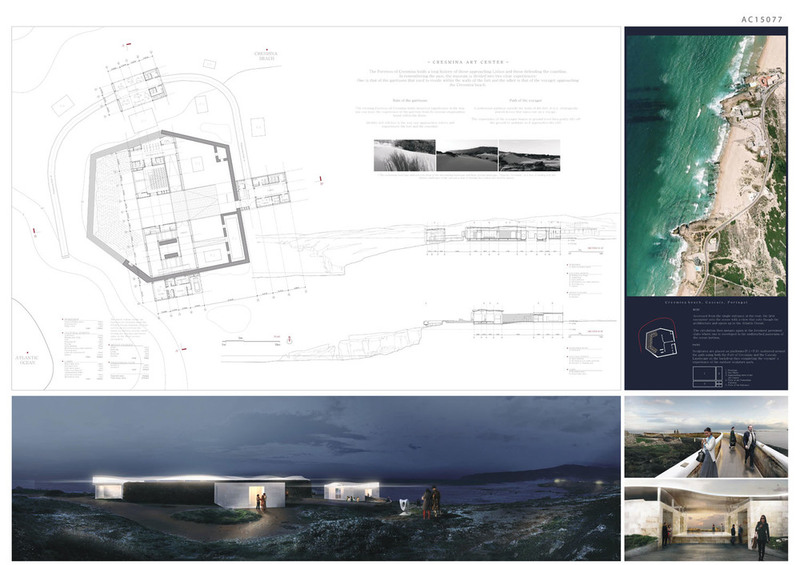 In this case the fortress becomes the main entrance for the Art Centre while the three underground spaces open towards the ocean and in that way generate a new coastal skyline. 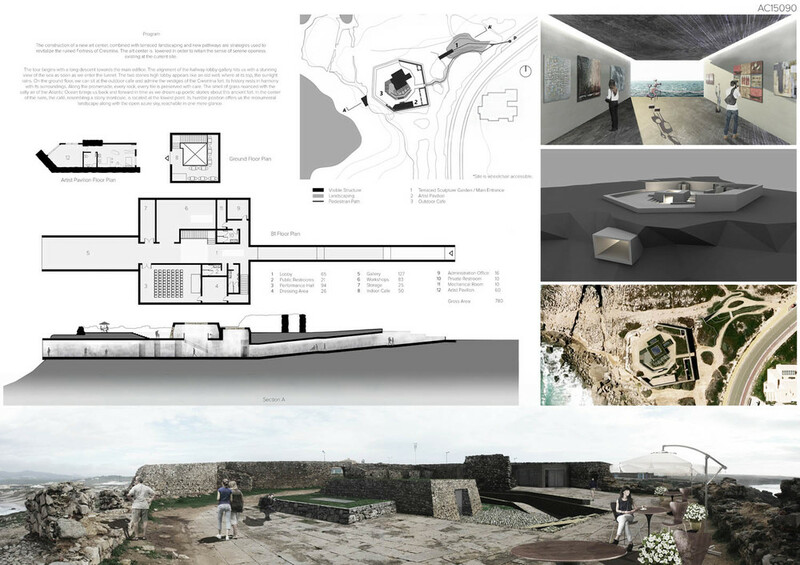 The project is literally placed below the ruins of the fortress. 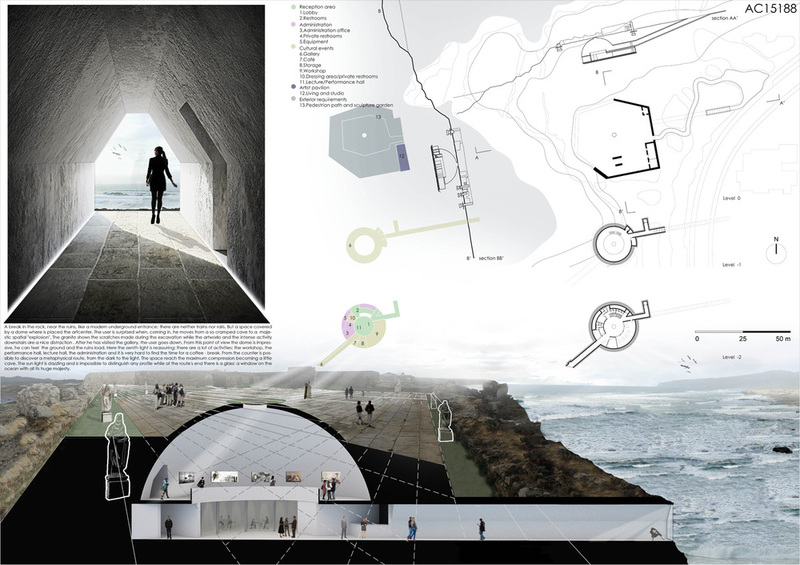 The underground galleries are combined into one art center, where great views of the ocean become the end wall of the main spaces. 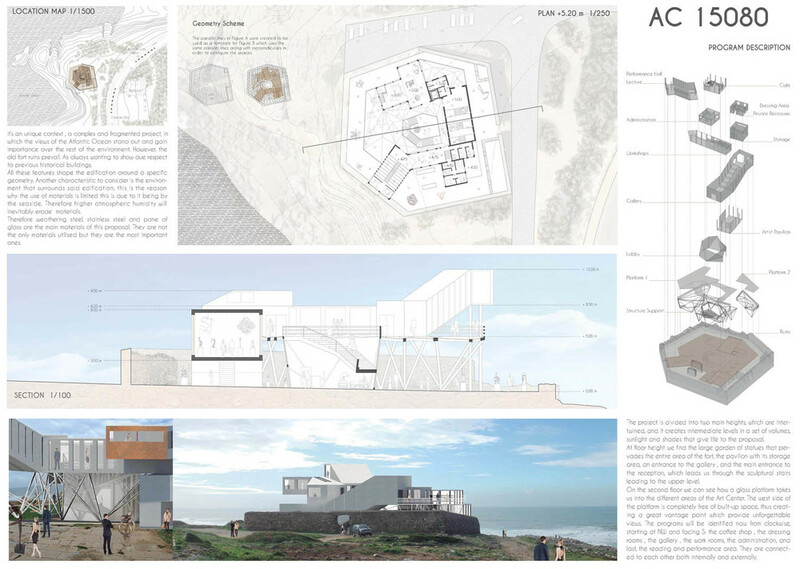 A respectful approach to the historical context. 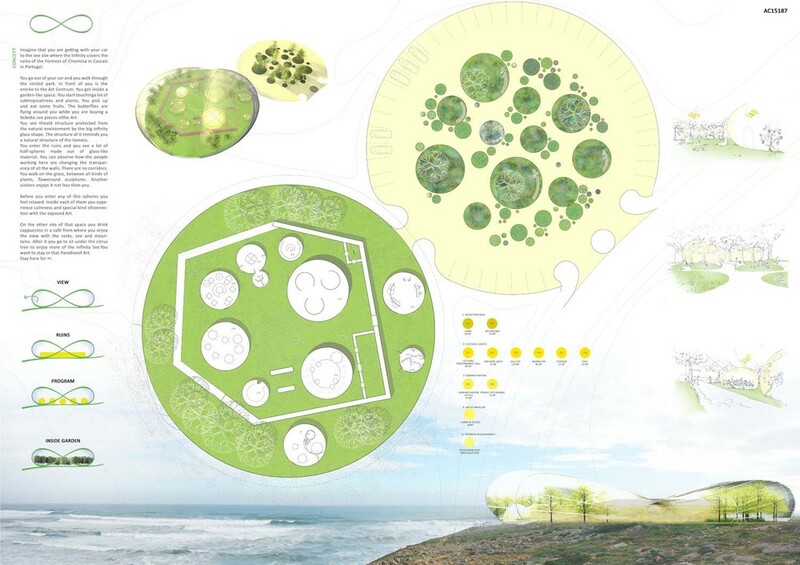 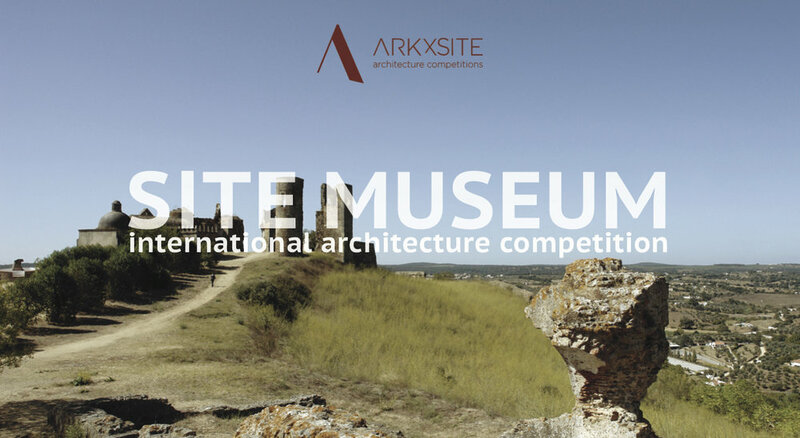 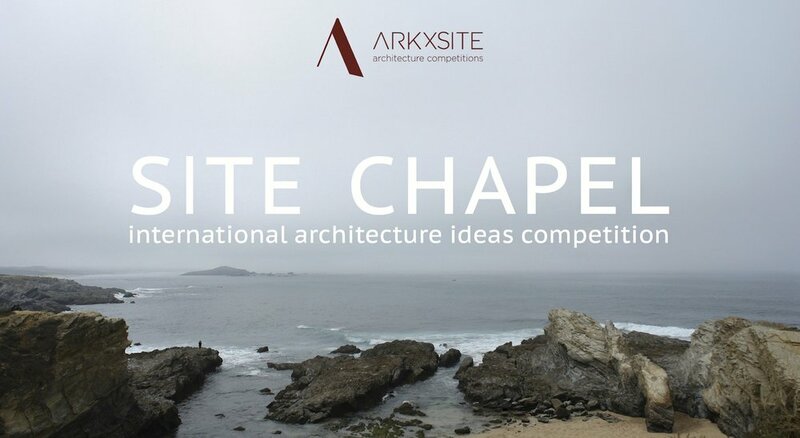 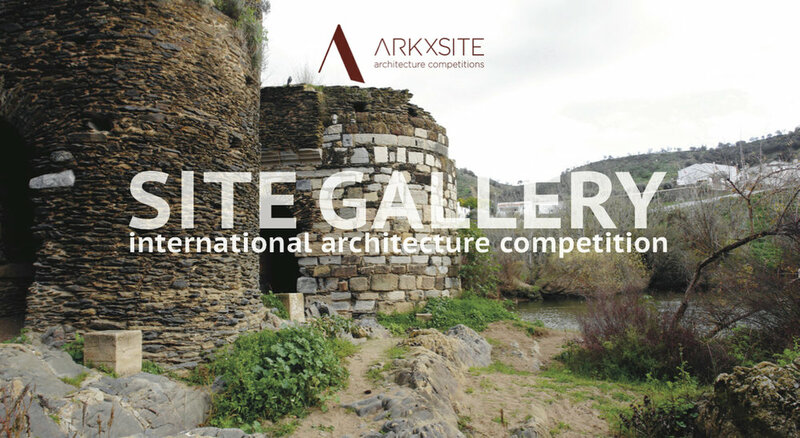 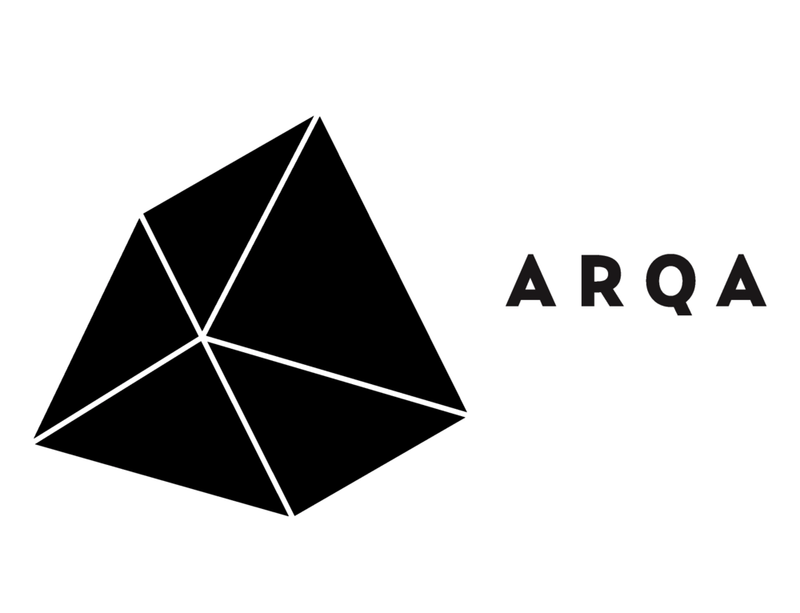 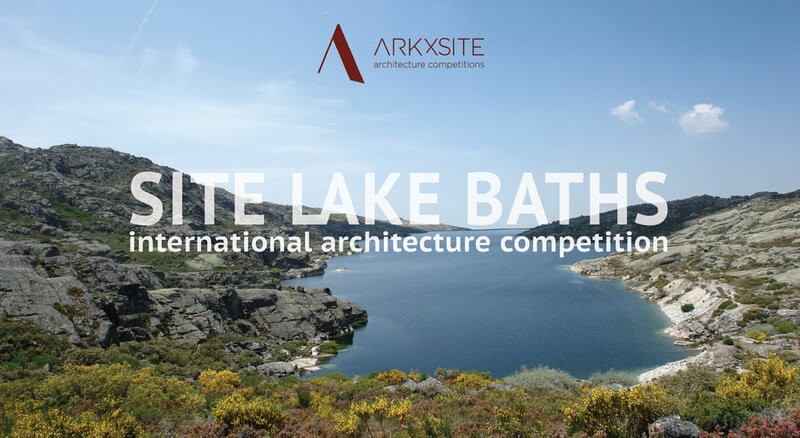 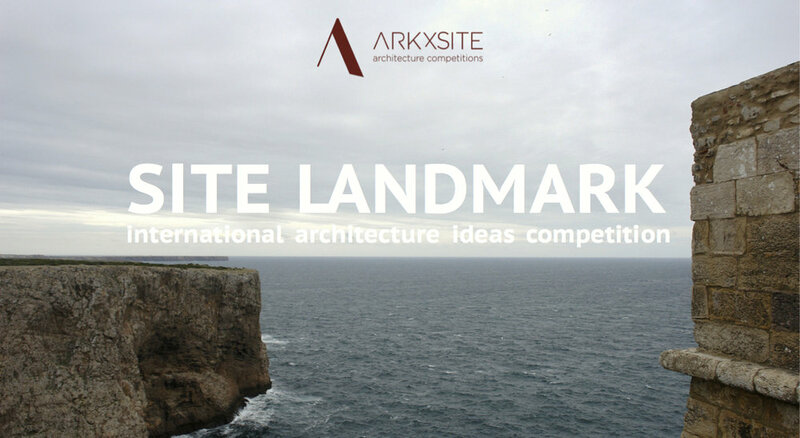 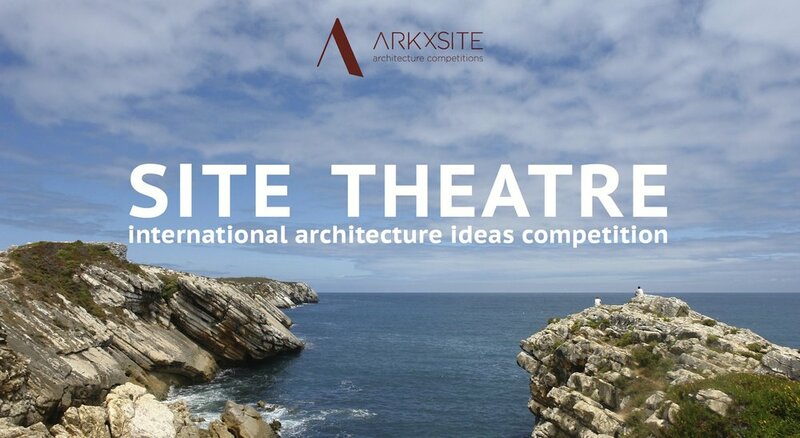 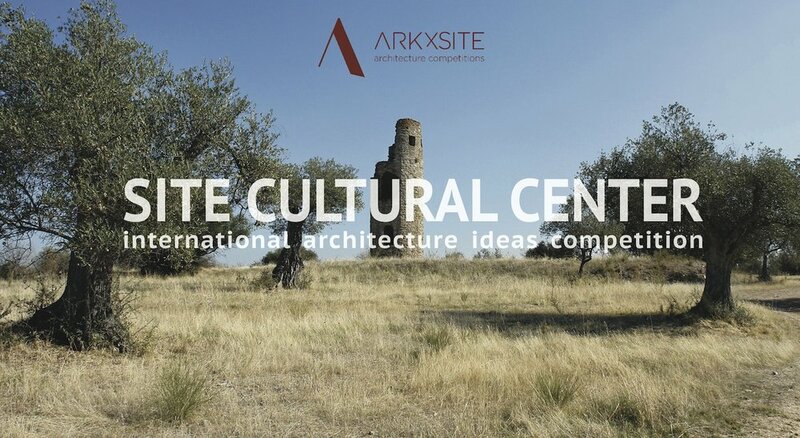 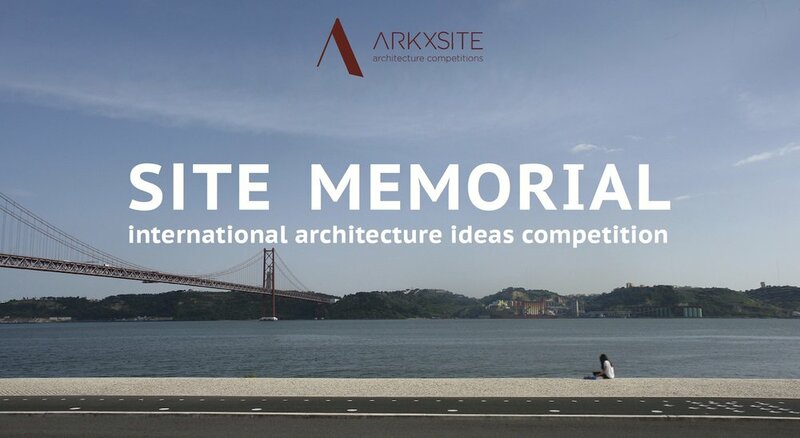 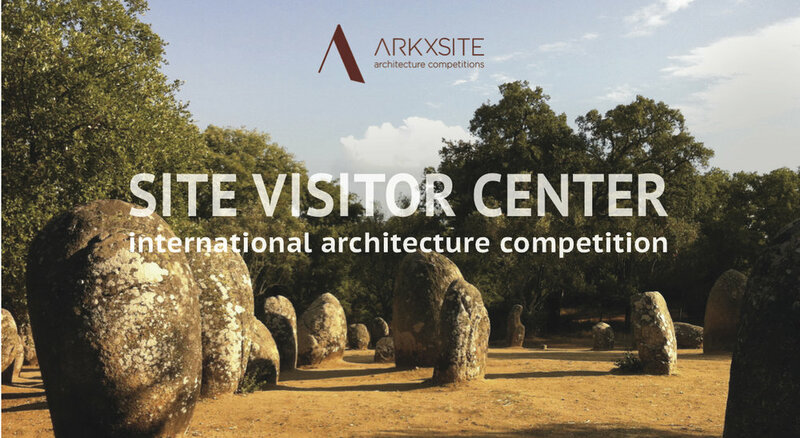 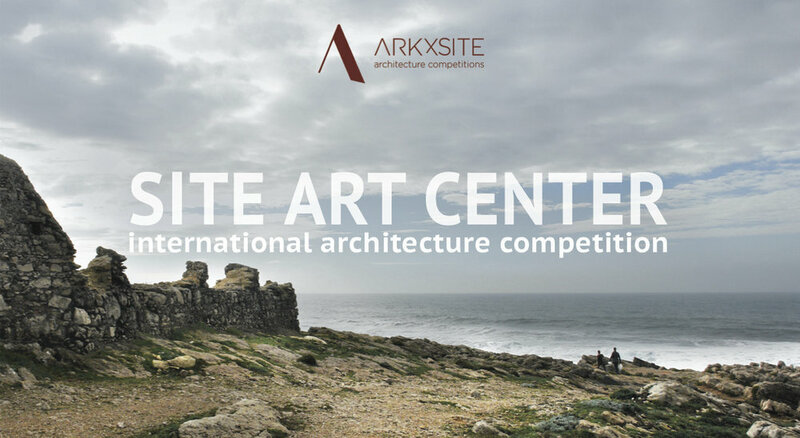 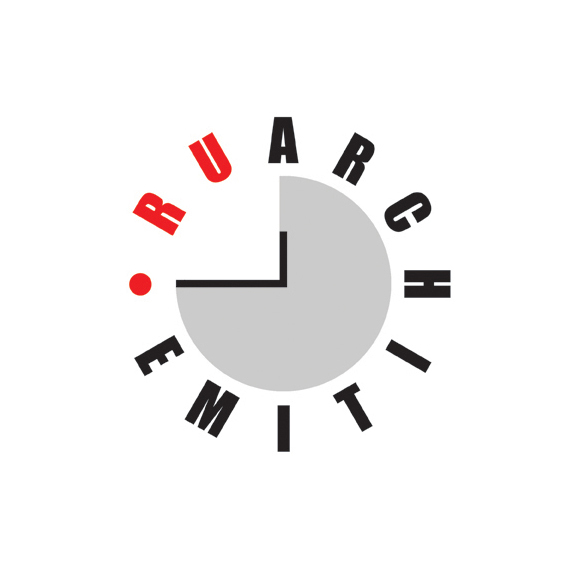 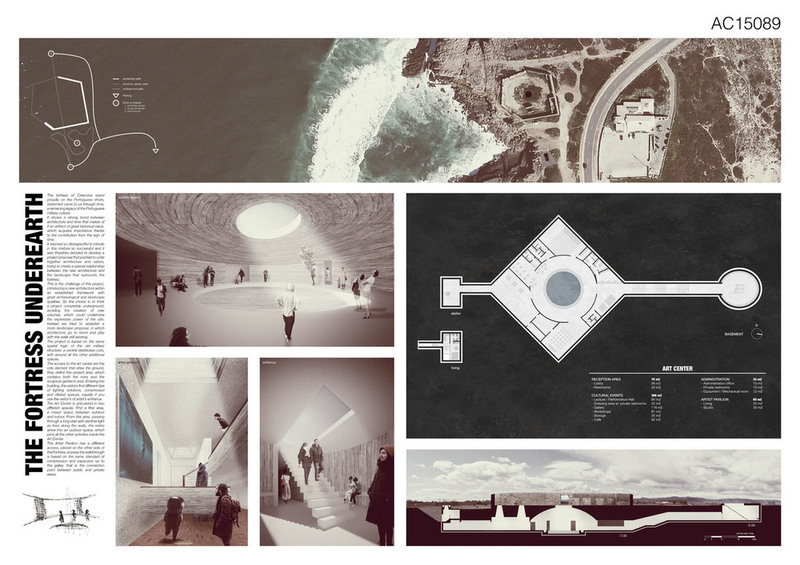 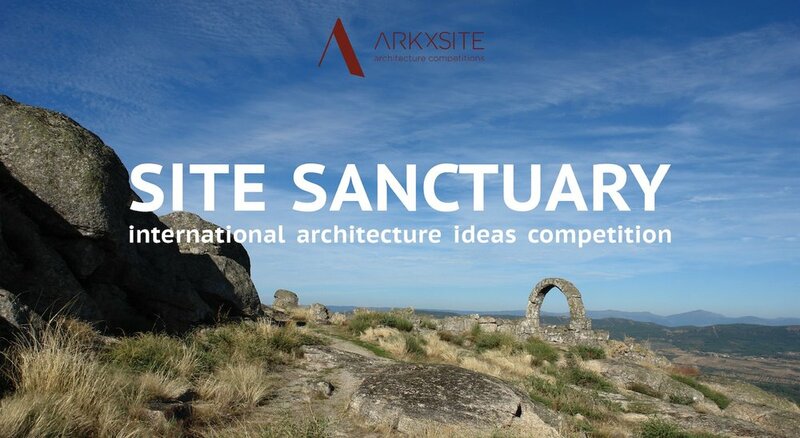 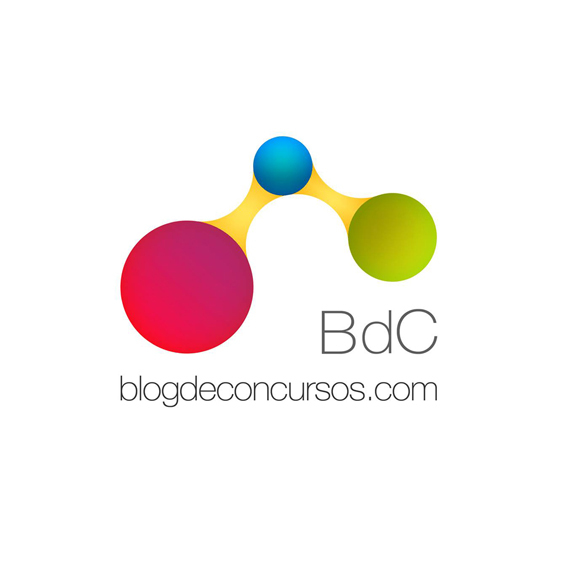 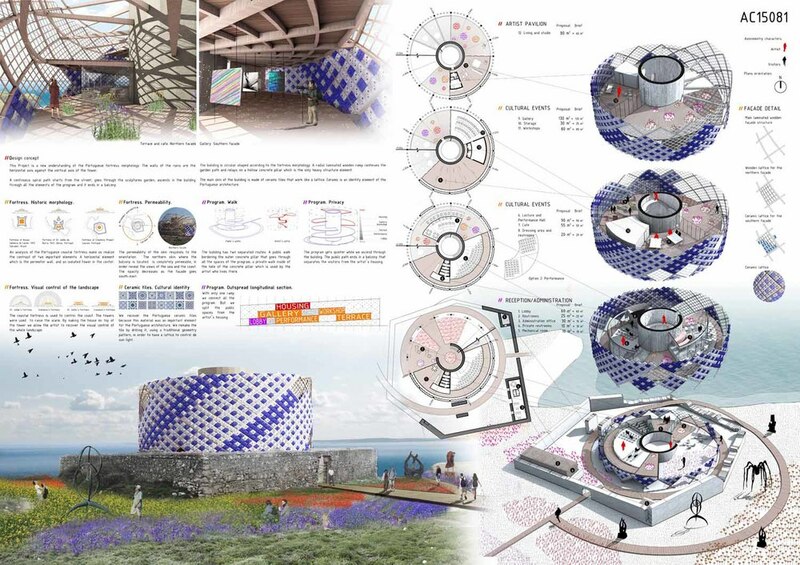 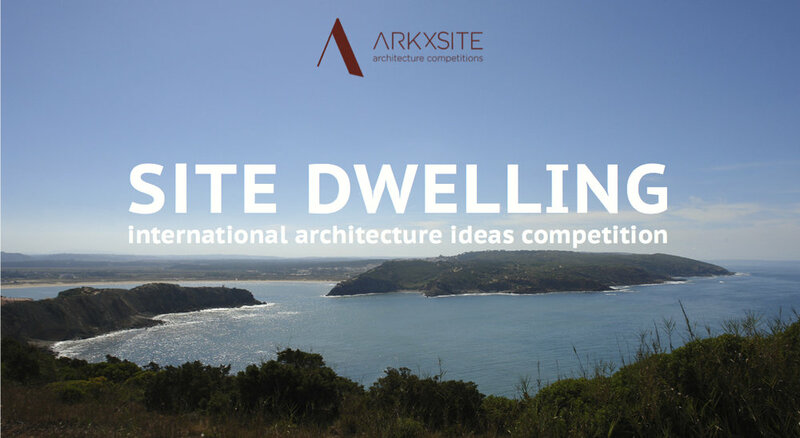 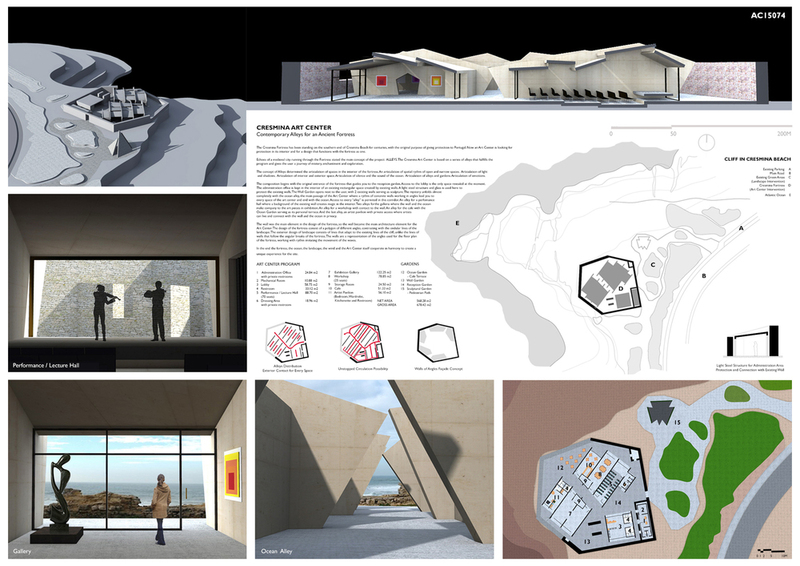 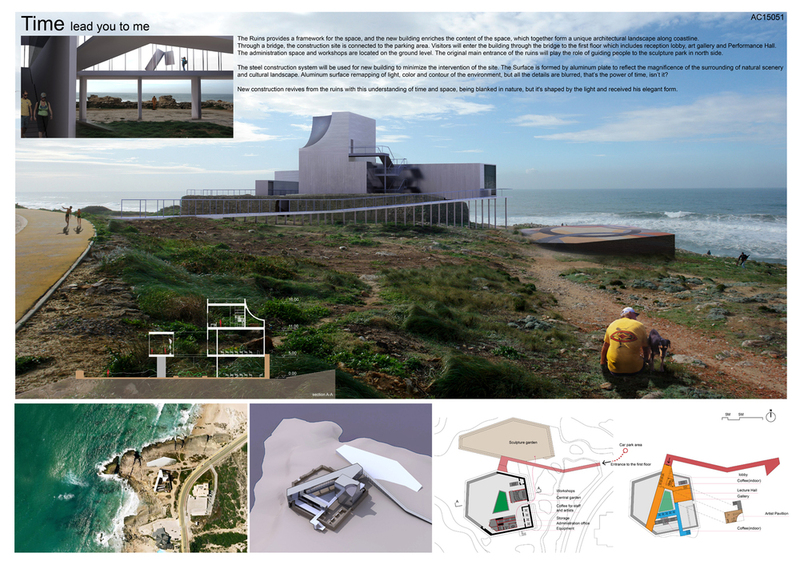 This international one-stage architecture competition invites all architecture students and young architects (≤ 40 years old) to develop and submit compelling ideas for the design of a contemporary Art Center located within the Fortress of Cresmina in Cascais, Portugal. 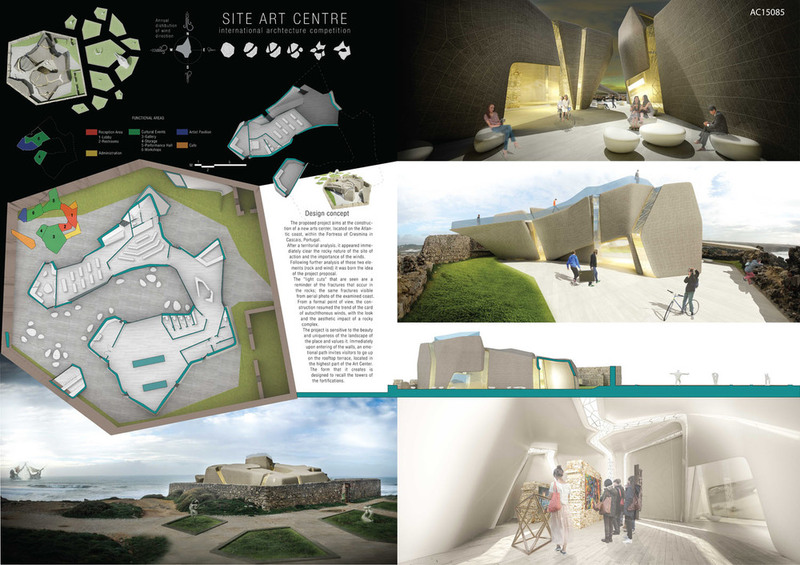 The Fortress of Cresmina is a significant landmark on a prominent landscape, a place of cultural heritage and historical significance with characteristics that must be fully preserved. 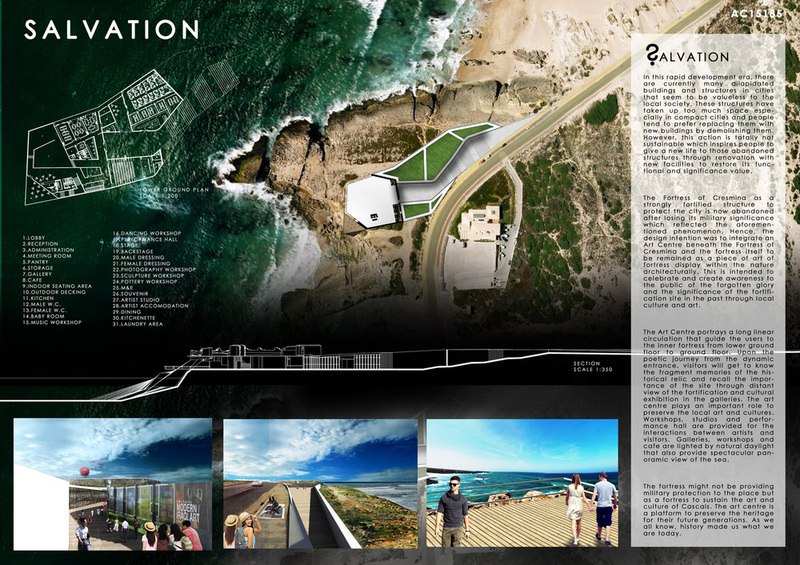 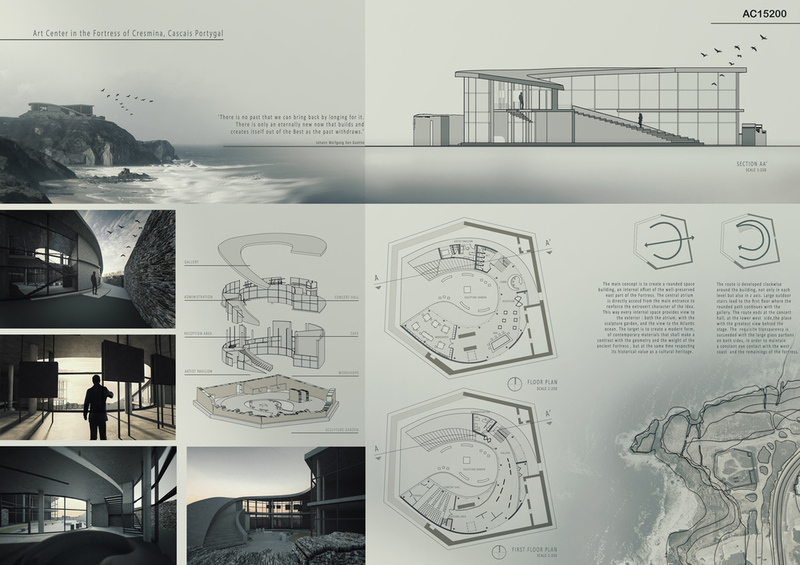 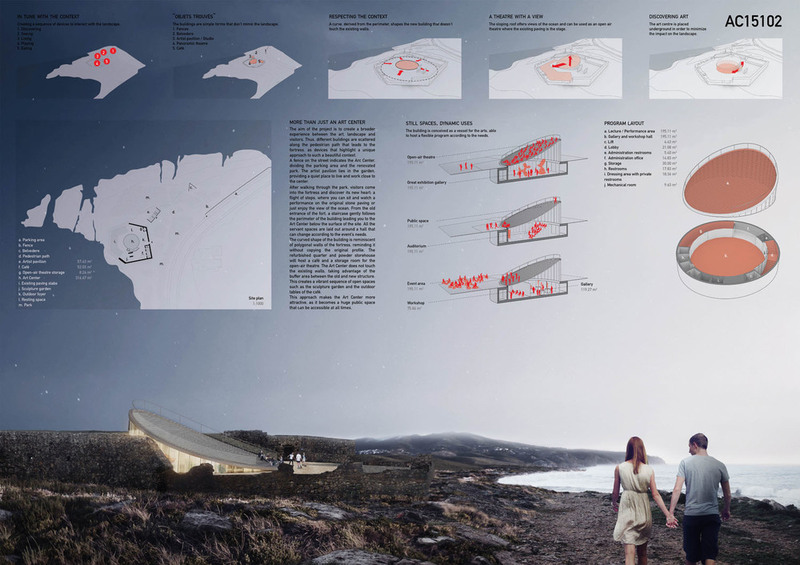 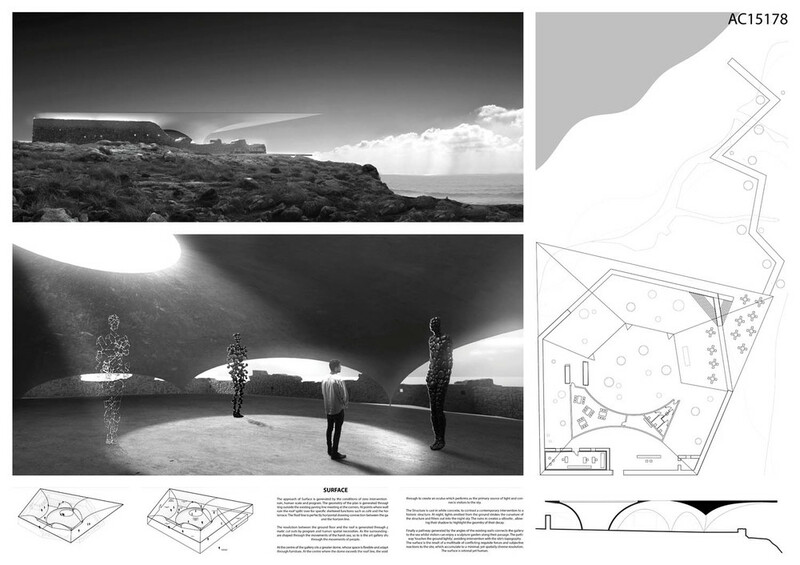 When generating a vision for an intervention located within such a remarkable place, it is essential that each proposal emphasizes, respects and celebrates the site and existing ruins within this spectacular landscape, providing visitors a unique experience.